RETRO KIMMER'S BLOG: SOFT MACHINE NEW WORLD TOUR AND NEW RELEASE: HIDDEN DETAILS! 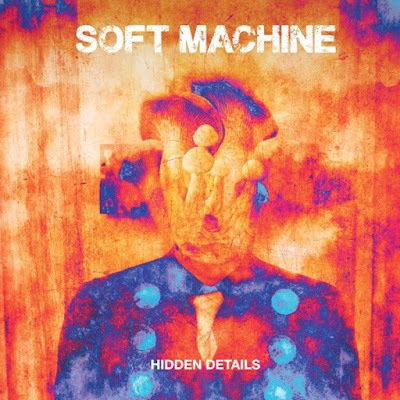 SOFT MACHINE NEW WORLD TOUR AND NEW RELEASE: HIDDEN DETAILS! NYC - In support of their forthcoming new album, British music legends Soft Machine will embark on their first North American tour since 1974 in October 2018, followed by the second North-American leg of the tour in January/February 2019. 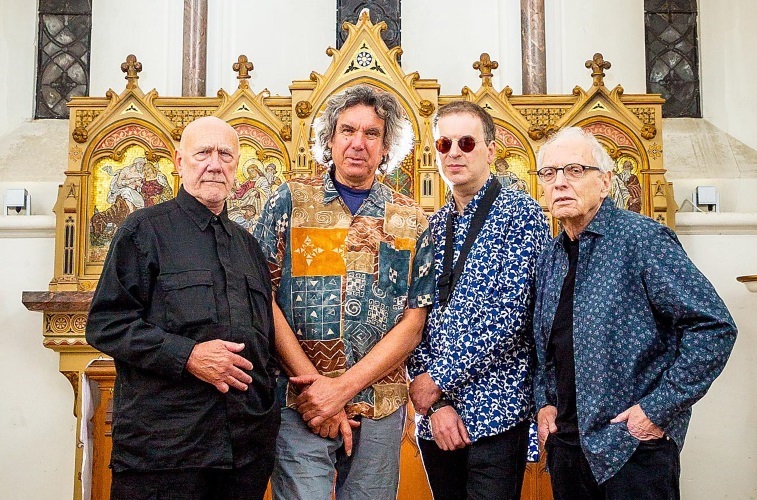 In concert, their set list will include material from all parts of the band's repertoire from 1970 onwards, but this is emphatically not a nostalgia act resting on its laurels. Last weekend Soft Machine played their first two shows in North America since 1974 (it was in 1974 they toured USA and Canada during the Bundles/Allan Holdsworth era). Both shows, at the Montreal Jazz Festival and Quebec City, were exceptionally well received by the enthusiastic audience and local press. “'Hidden Details' is very much the product of an active, contemporary sounding outfit striking out with its own agenda. Though informed by the past, the music here is neither weighed down nor beholden to it. 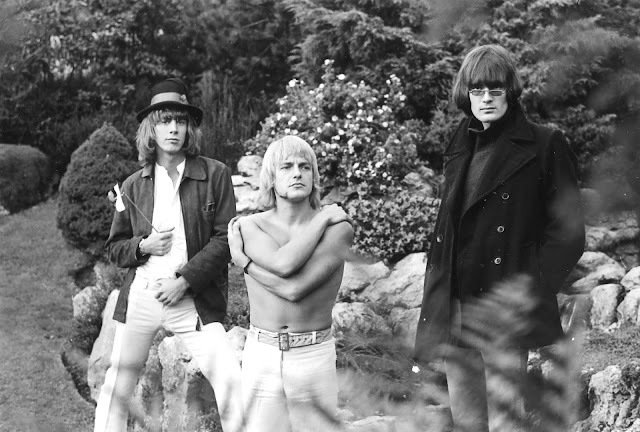 Animated with the same ineffable and inquisitive spirit that has always made this group throughout its fifty years such a compelling experience, it’' good to have a new Soft Machine with us in 2018. The yearning tenderness of 'Heart Off Guard' and the come-down reveries of 'Broken Hill' and 'Drifting White' showcase the more intimate aspects of Soft Machine's personality while in contrast, 'One Glove' gives the more pugilistic side of John Etheridge's playing an outing. The terse angularities of the title track and 'Life on Bridges' highlight a fearless disposition, as does the buzzsaw interplay heard during 'Ground Lift' and 'Flight of the Jett,' both featuring Roy Babbington's decisive interventions. The surging lyricism of 'Fourteen Hour Dream' flirts with an almost popish sensibility, underscoring the sense that this is a quartet that is fundamentally at ease with itself. The return of what some older fans of the band have called 'cosmic tinkles’'– the appearance of layers of cyclical electric piano motifs – is especially welcome. Their brief manifestation on 'The Man Who Waved at Trains' and Third-era, 'Out-Bloody-Rageous,' both stone-cold Mike Ratledge-composed classics, adds an extra spacey dimension to the overall sound. Soft Machine is a legend and an institution of British music, a band who included Robert Wyatt, Daevid Allen, Mike Ratledge, Kevin Ayers, Andy Summers (later of The Police), Hugh Hopper, Elton Dean, Roy Babbington, John Marshall, Karl Jenkins, Allan Holdsworth, John Etheridge, Percy Jones, Rick Sanders, Dave McRae and Jack Bruce among others (Jimi Hendrix briefly jammed with the band in 1968!). Since its creation in 1966, this band pioneered Psychedelic and Progressive Rock, led the 'Canterbury' trend, pioneered jazz-rock, and then guitar-led fusion (launching the guitar god Allan Holdsworth in 1974), influenced generations of musicians. Disbanded in 1978, recreated in few occasions in 1981 and 1984, the band resurfaces in 1999 under the name of Soft Ware. Much was said about this band with a very complex intriguing history of constant personal changes during the 1966-1978 period. The band resurrected in 1999 under the name of Soft Ware, then as Soft Works 2002-2004 and Soft Machine Legacy 2004-2015. In December 2015, it was confirmed that the band had dropped the “Legacy” tag from their name, as the band featured three of the group's 1970s era members – guitarist John Etheridge, drummer John Marshall and bassist Roy Babbington (from the seminal 1976's album Softs), in addition to flute and sax player Theo Travis – returning to the original name from 2015, and performing numerous concerts all around Europe, South America and Japan.